Yet they have a relatively low-interest rate and many other saving options are now also tax-free. 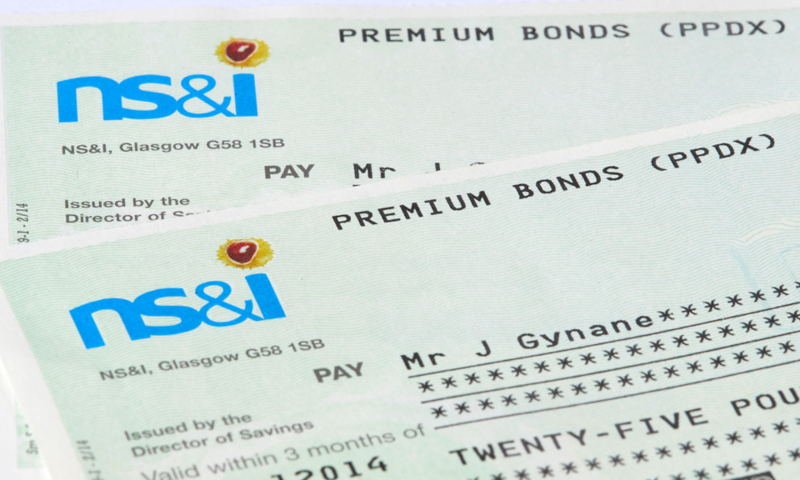 So the question is – are Premium Bonds worth it? NSANDI Premium Bonds are a type of savings account that you can add money and take it out any time you want. Interest is paid and there’s a monthly prize draw. Bonds can be bought in £1s and everyone has the same chance of winning so the more you buy, the greater your chance is of seeing a prize. There is a minimum of £25 for a one-off purchase and monthly standing orders and you can’t have more than £50,000. You have to be aged 16 to buy them or they need to be held in the name of a parent or guardian until you are. The monthly prizes are one of the big draws to Premium Bonds. There are two monthly winners of £1 million, 5 of £100,000 and 11 of £50,000 as well as smaller prizes going down to £25. You have a one in 24,500 chance of winning £25 so don’t get too excited about the idea of winning loads! One of the big benefits of Premium Bonds used to be the fact that the interest paid on them is tax-free. However, this shine has been taken off somewhat since the launch in 2016 of the personal savings allowance (PSA) which allows you to have all savings tax free up to £1000 interest a year for basic taxpayers and £500 a year for higher rate taxpayers. This means that 95% of people can now have savings that have tax free interest so this advantage to Premium Bonds is no longer relevant. There’s definitely something attractive about the potential for winning a million pounds for your savings but in reality, the prize rate isn’t great. If you ring NSANDI (and you can find the NSANDI phone numbers are listed here) they will tell you that the prize rate is 1.4%. In reality, for every 25 people with £100 in bonds, 24 of them will not win a prize. For people with £1000 in bonds, 3 out of 5 will not win a prize while if you have £15,000 in bonds, 1 in 1552 will not win a prize. NSANDI might sound like a bank or building society but they are actually a government department – the government owns the Premium Bond system. Now that does mean they are 100% safe and there’s no chance the company goes broke and the owner runs off with the money. However, it is worth mentioning that all savings are protected anyway under the savings safety rules so as long as you use a UK-regulated savings product, you are protected up to £85,000 per person – and the maximum for Premium Bonds is £50,000 anyway. So if you have money that you don’t need to access for a couple of years, you can definitely get a higher rate of interest. Premium Bonds compare with standard savings products so there it is more a personal choice matter. If you don’t already have £50,000 in Premium Bonds and you do win some money, you can also choose to resave this. In other words, you can turn the winnings into more Premium Bonds and increase your odds a bit that you win more and bigger prizes. This is a bit like leaving the interest from your savings in the account to continue to grow your pot. There’s nothing wrong with Premium Bonds as a way of saving. While the chance of winning a substantial prize is higher than the chance of winning big on the National Lottery, there is always a chance. And smaller prizes can accumulate to build your pot and increase your odds. So really, if you like the idea of potentially winning more money, then Premium Bonds can be a good option – just be aware of the odds and don’t expect that millionaire pay-out any time soon!